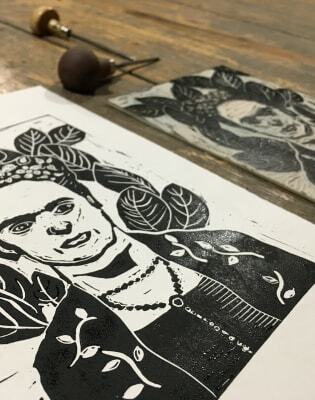 Learn how to design, carve and print through lino printing - Be inspired and celebrate Frida with a glass of bubble! We’ve been celebrating Frida Kahlo and her incredible vibrant coloured paintings here at the studio for years, and we’re not going to stop now! If anything, we want to celebrate Kahlo’s individualism, energy and modernity more than ever before. 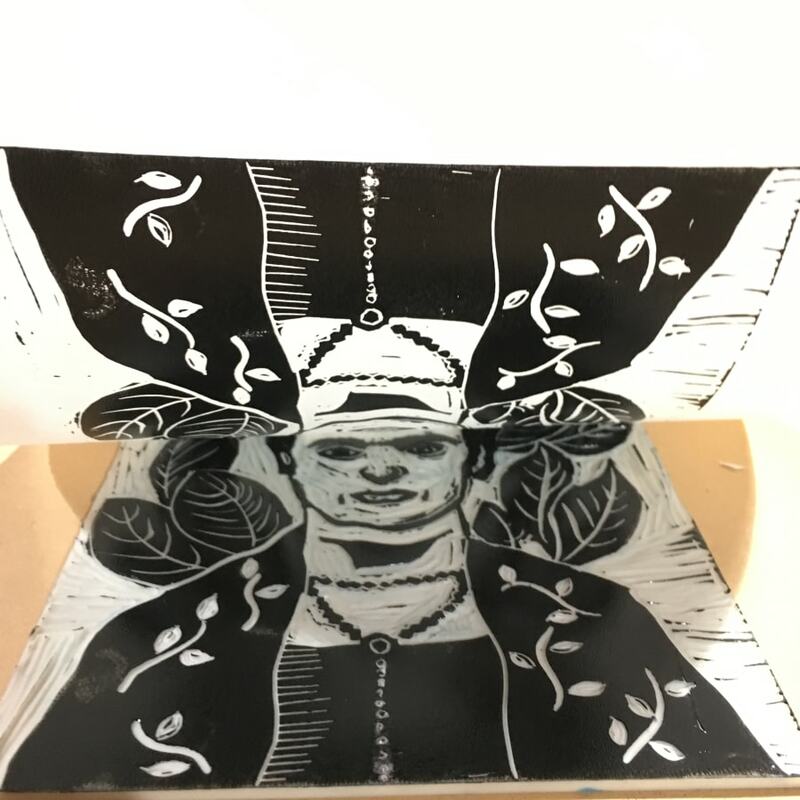 We’re therefore very excited to invite you to our very first Frida inspired printing workshops that will help you find your inner Frida! Throughout the evening you will be guided through the process of lino printing, choosing from our three most inspired paintings. 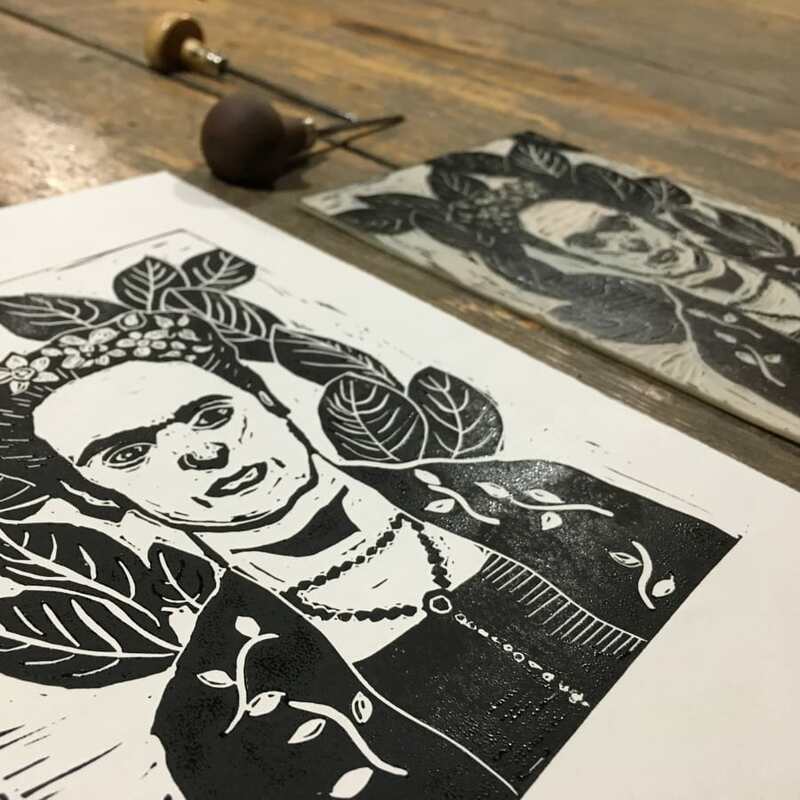 Learn how to design, carve and print your very own Frida! This evening is a celebration of Frida’s life and work so of course a toast is to be had! A glass of bubble will be included in your booking or a refreshing orange juice if prefered. This evening is for you to enjoy and create something spectacular, have a good natter and meet other Frida enthusiasts! Whether you are a complete beginner or at a more intermediate level, we tailor our teaching style around each individual. 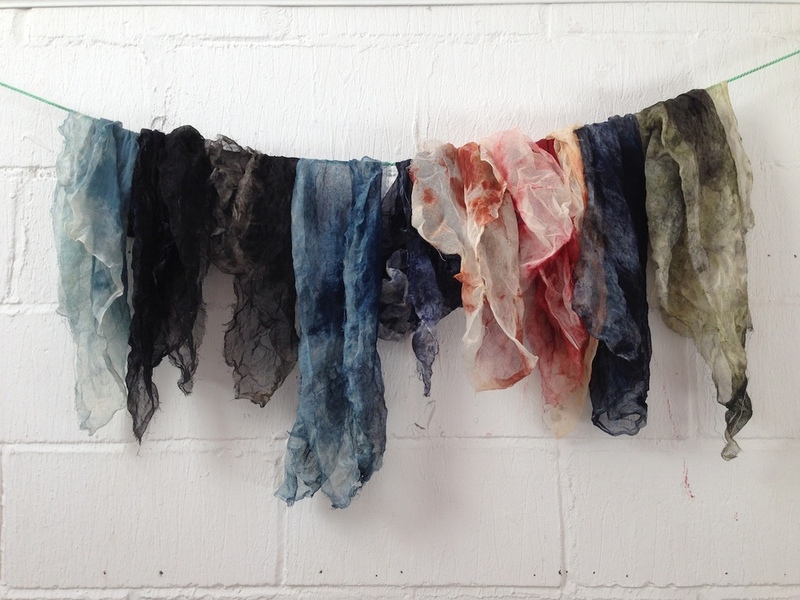 Our tutors are friendly, knowledgeable artists who will guide you through the whole process. All over the world, people loved Frida. When she traveled to France, she was wined and dined by Picasso, and appeared on the cover of French Vogue.